Activision has revealed ten more songs that will be featured on Guitar Hero Live. 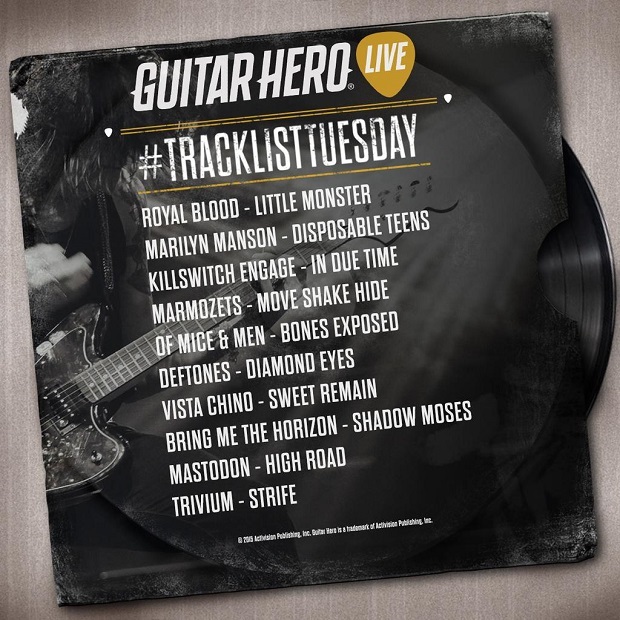 Through a post on the Guitar Hero Twitter, Activision revealed ten songs that players will be able to strum their way through when the Guitar Hero Live launches later this year. Activision announced Guitar Hero Live earlier this year, hoping to bring new life into the dormant rhythm series. The company plans to use Live as a platform for downloadable songs rather than release a new game every year.